Also, while I’m dreaming of Christmas recipes, would you prefer a peppermint chocolate recipe, or a gingerbread recipe? I crave peppermint chocolate things at Christmas, but I have a soft spot for gingerbread, because my mom made gingerbread men every year for the Christmas cookie exchange. 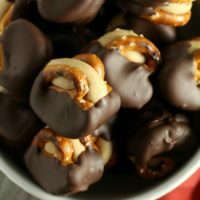 These Peanut Butter Pretzel Buckeyes are a twist one of the most popular recipes on my site. I know you love salty sweet treats because these salted caramel pretzel cupcakes are also super popular. 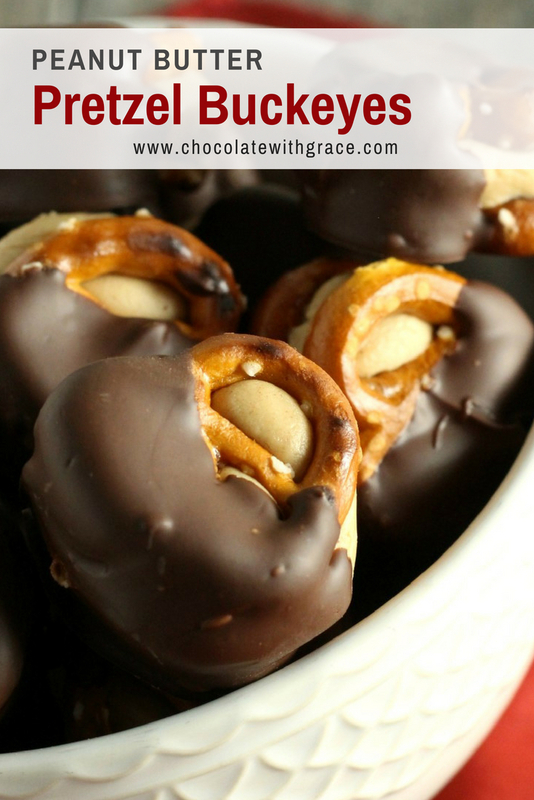 I’m still not sure which version I prefer, the traditional peanut butter balls or these salty sweet pretzel ones. If you make them, let me know which ones you prefer. Roll into 1 inch balls and sandwich between two pretzels. Place in the freezer for at least 1 hour. 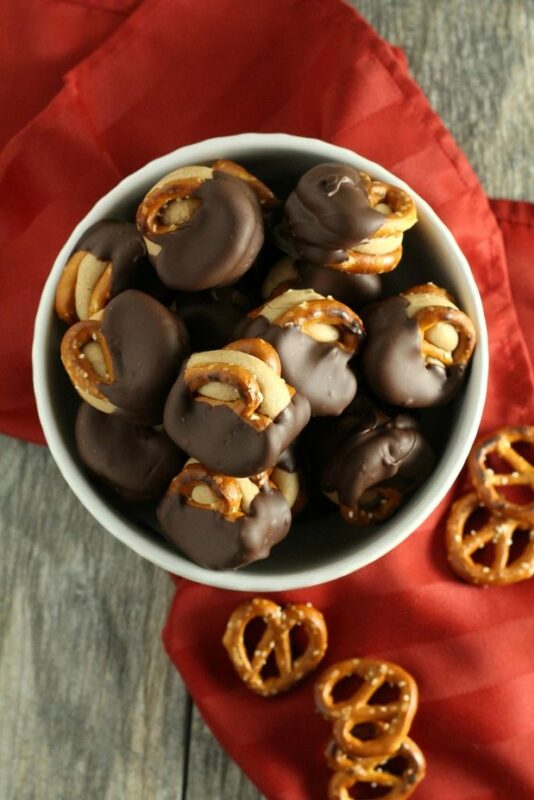 Dip the chilled peanut butter balls three fourths of the way into the melted chocolate and place on wax paper to set. 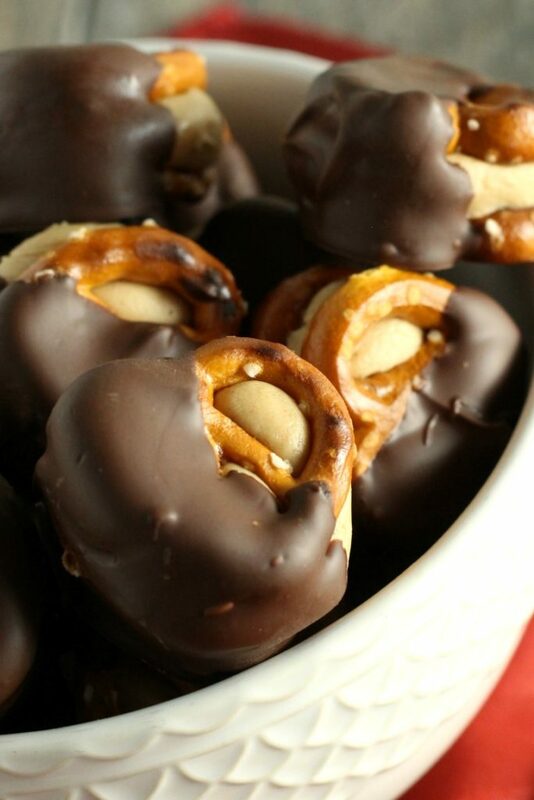 While we are talking peanut butter pretzel treats, this Peanut Butter Pretzel Pie for Lil’ Luna looks delicious. Or these Chocolate Peanut Butter Pretzel Bars would also cure the salty sweet cravings. 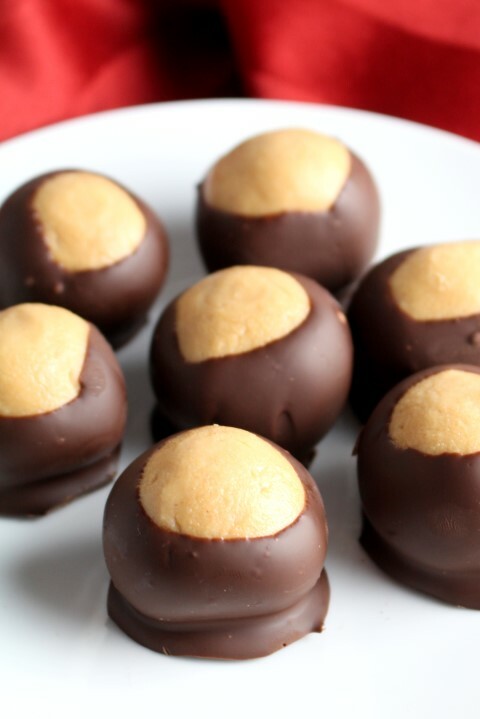 Also, be sure to try my traditional buckeye recipe! Hi Mallory, I have more of a question then a comment. Do these need to be stored in the refrigerator and does the peanut spread when you bite into them? These are best stored in the fridge and no the peanut butter will not spread. How long can they be stored in the refrigerator. Can they be made inadvance? I would only store them for a day or so. They would keep better in the freezer for a week or so. 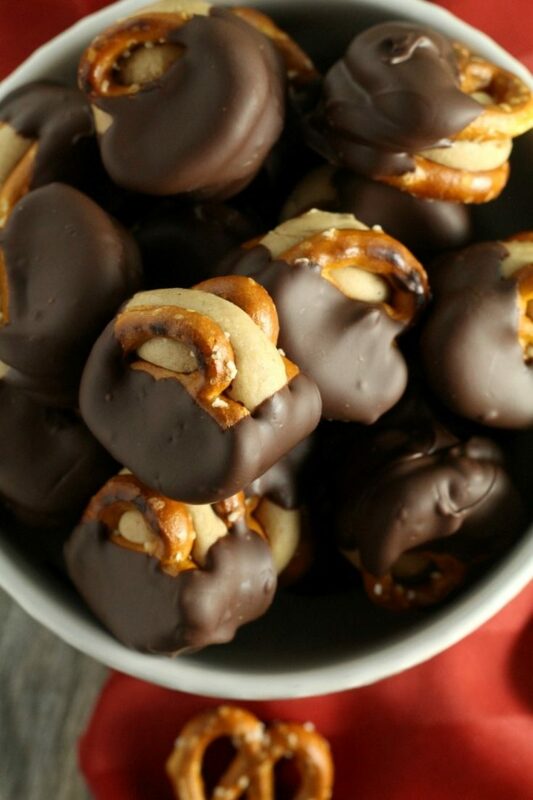 the longer you store them, the more chance the pretzel will get stale.